Southeast Raleigh Promise is focused on the neighborhoods surrounding the Rock Quarry Road Corridor. Approximately 29,000 residents are living in this zone. Eliminating intergenerational poverty is long-term work. It will take at least one generation (18-25 years) to measure the true impact of this work. However, the first phase of this initiative will be born out of the “Beacon Site” on Rock Quarry Road in the summer of 2019. 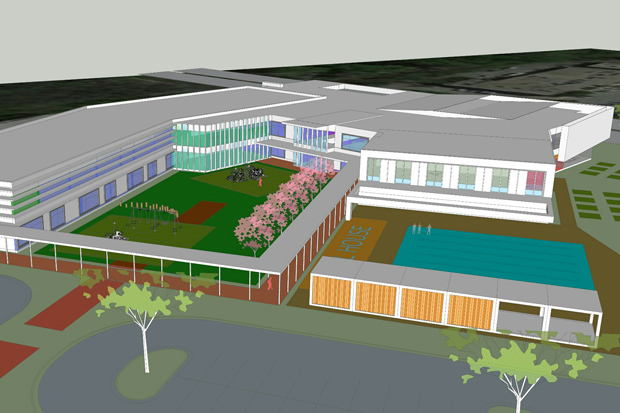 The Southeast Raleigh YMCA is scheduled to open its doors in June 2019 and the Pre-K-5 Wake County Public School will open its doors for the fall semester of the 2019-2020 academic year. We also expect more than 80 high quality affordable homes will be available for rent in our neighborhood in early 2019. 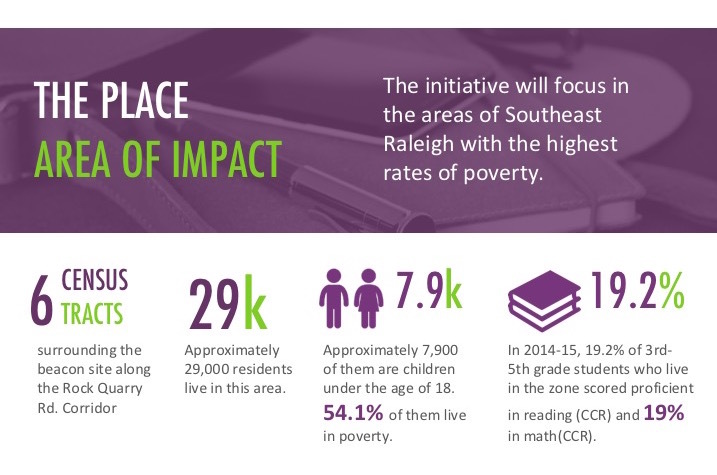 While it takes a significant investment to build these physical resources, it takes an even greater investment to ensure that residents of Southeast Raleigh have an authentic and active role in shaping the way these resources serve the community. We are committed to that investment.